"Smile," Says the Lord, "for I Am Thundering throughout the Earth!" "Do Not Tremble at the Sound of Bad News"
God's Spirit says to you, "Are you expecting something from Me? Are you waiting and saying, 'God, any moment now something could happen?' Are you expecting something from Me?" For the Spirit of the Lord says, "If you are expecting, then I shall grant it to you in My time." Those who fear the Lord, do not tremble at the sound of bad news. Do not tremble at the sound of bad news, for the Spirit of the Lord says, "I will release My voice, and I have, to overcome and resist the very enemy that has tried to take the joy away from My people. "Smile," says the Lord, "for I am thundering throughout the earth. I am rushing to and fro throughout the earth," says the Lord, "hearkening unto the sound of My people and waiting to hear the sound of faith," says the Lord. "I'm running throughout the earth," says the Lord. God says, "I am working on your behalf. I am exercising the same power that I did for the children of Israel. When their enemies rose up against them, I arose," said the Lord. "I Shall Cause My Earth to Bring Forth a Judgment"
"Let the earth shake," for God says, "the damage that your enemy has desired to do to you shall turn back and it shall be done to them. Would they come and stand on the Holy Ground that My people have established? No, I shall do the shaking," says the Lord. "And when they point their finger and stick it into the nose of those who have stood and prayed, I shall break fingers and I shall cause My earth to bring forth a judgment. And even though it shall shake, the soil of the land shall shake in America, they shall say it did no harm or damage." "Oh, What Changes are About to Take Place"
Lord, we stand upright before You in fear – not of man, but fear of God. I'm praying now that what You spoke would suddenly be saturated by Your people. If God be for us, who can be against us? "But Kim, our country is going down the drain." No, it shall not be this, it shall not be the veil of Islam (Kim covers his face with his mantle), but the unveiling of Christ. Father, cast Your mantle upon us right now, on every home, every person that is watching me all over the world (Kim grips his mantle in both hands). Strike, Lord and let Your Name be exalted in this nation. How the enemy has targeted Europe now, as we prophesied, and then America again. You've kept us, Lord. Oh, what changes are about to take place. The winds of change. The Spirit of Elijah, of Christ, is about to break through and bring families together – sons back to fathers, and those who are fatherless shall find the fathers. They shall find the father that they did not have. Father, reveal Yourself in this day and age, raise up fathers and Lord, touch every home and life right now. You have made a promise so great that we stand fearing and trembling only at You, knowing that You will keep us. You said do something unusual in order to bring about something unusual. 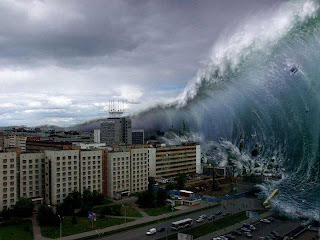 A tidal wave of God’s kingdom is about to crash on the shore of planet Earth as God is about to release a manifestation of Himself. A fresh, never seen before manifestation of God is going to break all barriers of men’s religious teachings and structure. God is about to do outside the system of men’s structure and doctrine what these could never contain. This wave is going to destroy many works of the flesh that have masqueraded as God’s work. This Kingdom release is a healing and destroying wave that is intended to heal the broken hearted and set the captives free, while at the same time passing judgment on dead works; showing they are not of God. The release of this wave is a result of those who have learned to walk in UNION with the heart and purposes of God. Not just obeying Him, but coming into agreement with God and His judgments and heart. COMPLETE Unity with God is our destination in the kingdom. In this new day of the kingdom advancement we will see more and more the union of God with His sons as He purges the earth of its rebellion and pride. As a groom consummates his love for his bride, so the Lord is consummating a oneness with His sons, who have begun to express the very likeness and essence of God’s nature and authority on the earth. The Glory of God is being released in those who have the common unity of being led by the Holy Spirit. When those who walk with God in union enter fellowship, worship, and mutually encourage on another, you will see an even Greater Glory. This is an outpouring THROUGH those who have “Gathered outside the camp unto Him”. Each one has first individually learned to walk in union with God, and then in communion with their brother. This unity is NOT found in a church congregations gathered in unity around a “common” doctrine, church structure, or a gifted leader. This is NOT what God is doing in this hour, and it does not have fullness of release. Where there is mixture there is hindrance to the will of God. THE WAVE IS THE RESULT OF GOD COMNG TO HIS TEMPLE TO DWELL…and the Lord, whom ye seek, shall suddenly come to his temple, even the messenger of the covenant, whom ye delight in: behold, he shall come, saith the LORD of hosts. He is fitting together a temple made of living stones that is at this present time scattered and coming out of wilderness trials and purification. But they are coming together in this time of earth’s upheaval and turbulence as a wave of refreshing to the earth. God is dwelling in His glory in these, and their common union is that they are partakers of His Spirit and nature. They have learned to be at rest with God IN them and they IN Him. They have learned submission and accountability to God, and have come to maturity that is seen in obedience out of love. There is coming a power and glory pouring forth from those walking in the “common unity” of the Spirit as a result of the One Covenant of The Blood of Jesus. Truly this is the Wedding Covenant of Union with Christ. If you are led by the Spirit, you are His son, and are already in a COMPLETED covenant of unity with everyone else on heaven and earth who is one with God. Mindsets are about to change drastically. In the One Covenant of “Common union” with God and each other, power will be released so mightily that many people will move beyond their old alliances and allegiances to their own church “communities”, leaders, and organizations. The communion of the saints will be seen in the broader sense in its reality; as what God has deemed in “union” with Him is blessed, and that which is not in union with Him will not endure. You will know those in union with Him by His Heart, His presence, and His power expressed in those He chooses to glorify; for we are the Glory He now chooses to clothe Himself in. He is the Glory we are clothed in. I spent a day with at the beach with my kids a few years ago when the moon was full and the forecast was for high surf. We took our wetsuits and boards expecting to have a blast in the big waves. On the three hour drive to the beach we were filled with great expectations of catching some great curls. What actually happened when we arrived had the potential of being the greatest tragedy of my life. As I approached the beach I noticed an enormous mound of sand running the length of the beach that wasn't there on previous trips. The pounding surf had completely rearranged the landscape. On top of the mound of sand lay a dead seal. The friendly little cove I'd always known had suddenly changed. My kids were young and had never seen 20 foot waves before. They opted to stay on the beach where it was safe. I'd never seen waves this big either, but my sense of adventure got the best of me, so I pulled the wetsuit on and paddled into the surf. I spent the next hour in a slightly terrified state of mind trying to read the waves as they continually grew in size. It was all I could do to hang onto my board and not get beat to death by the enormous waves. I was able to catch a few of the smaller ones and ride them for a while. But the water was freezing cold. Even with a good wetsuit, I was beginning to shiver. When a large wave came I paddled in the direction it was going, but the volume of water was so great that when the curl caught up with me, it drove me forcefully to the bottom. The hydraulic action of the surf held me under and no amount of swimming would bring me up. I had to wait like a pair of pants in a washing machine for the wave to pass so I could come up for air. In one of the waves, I actually thought for a few moments that I might be killed if I kept doing it. That was when I waved the white flag of surrender and swam ashore. I'd had enough. I sat with my kids on the beach and pondered the awesome power of the sea. I would never see it the same way again. I shared this story because I think it has some application to what God is doing in His church. There is a wave of change headed our way. Many of us have seen it afar off. Some have begun to feel the changes already. The land under our feet is moving as the wave approaches. There's a great deal of excitement among those who long for the much needed change that's coming. But I fear we may be underestimating the enormous scope of change we'll experience. I think the wave will have wide-sweeping consequences few have considered. In the coming days I believe God will ask us to do things we will find uncomfortable right now. When Jesus came, many rejoiced when they saw the works He did. He brought a wave of change to religious life in the middle-east. His following grew rapidly for a time. Then He did something unexpected. He began challenging his disciples with hard sayings. Many withdrew and followed him no more. To the few that remained, He revealed the mysteries of the kingdom. I believe a similar thing is hidden in the approaching wave. In listening to the discussion about the coming move of God, I hear people talk excitedly about a greater presence of God, an increase of holiness and integrity among leaders, restructuring and dismantling organizational relics, a Spirit led instead of man led body of believers, prophetic worship, healing evangelism and a lot of others things most of us have been praying for. These are the things most of us are expecting. Perhaps we'll see them come to pass. But I think we're going to see things we don't expect and don't necessarily want. We call the move of God a wave because it's a moving phenomenon; it starts out small and grows. The substance of the wave is the water of the Spirit. What approaches from afar off is a living, moving, spiritual phenomenon like nothing we've experienced. Being made of the Spirit, it has an unpredictable nature. We might see the effects, but no one knows where or how the wave will move next. We never fully know what will be in the next wave that comes. The Spirit has unlimited authority and power to bring diverse effects wherever He goes. Like the massive wave I foolishly tried to ride, the wave of the Spirit will not be tamed or controlled by man. The church has at times been controlled and misled by man. Some of the changes have to do with making things right in that regard. 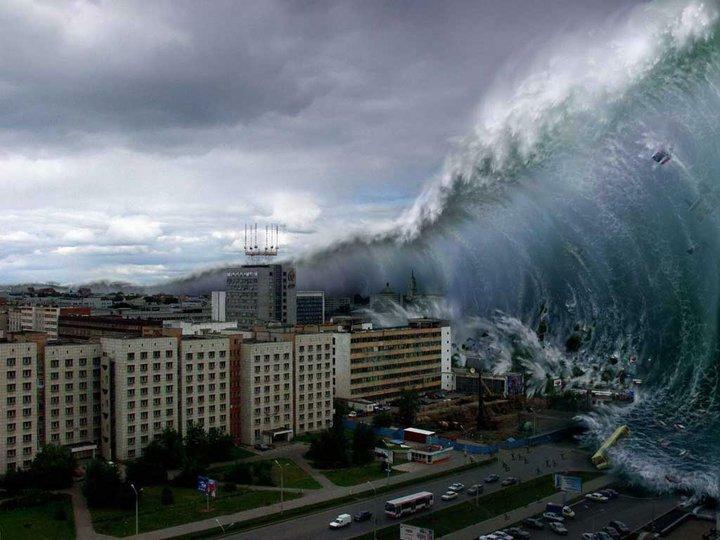 Much of what we call the church will be devastated as the wave hits. The landscape we've always known will be forever changed. Here and there you may see a corpse on the hillside as a grim reminder of man's foolishness. It will be unfamiliar for most of us. And for a while it will be uncomfortable. This is part of what's coming. There is already great division and disagreement in the body over doctrine. As God brings greater changes in what He is doing, the war of words will intensify. We can expect greater disagreement in the coming days. Those who are now our friends and allies may soon be our accusers. Change is a messy business. Following hard after God in the coming days will make all of us consider the cost. Many will leave the assembly of God's people. Heresy hunting, name-calling, and accusations of false prophet and teacher will be at an all time high. If accusation were a publicly traded stock, I'd be buying. In past moves of the Spirit, long forgotten things have been given back to the church. That doesn't happen without bitter debate. It's been 100 years since the Asuza street revival, which saw the gifts of the Spirit returned to the church and there's still heated argument over them today. I wonder what gifts, experiences or revelations God is going to restore to us that were lost over the centuries. In recent dreams I've seen glimpses of what could be coming.﻿ It involves transportation in the spirit dimension; something both old and new testament saints once experienced. A few brave souls are still experiencing it, but I believe the Lord would have more of us traveling the spirit highway. I can imagine the accusations that will come. In other dreams (if you can rightly call them dreams) I've had spiritual experiences that I can't describe in human words. They're so foreign to me that my natural mind can't understand what happened. I some I knew I was in the presence of God and there was something spiritual going on. But to put it into words is impossible, because in the natural world, there's nothing to compare it with. Kris Valloton had a dream in which God revealed something that seems to be a key - at least it was for me. He said that what's coming is so radically different and unlike what we've known in the past, it will require a new operating system for us to get it. That my friends, is the kind of change that's coming. Another part of what God is doing is preparing an army. There's a fierce battle coming. It's going to be a suicide mission for some of us. It could be the last days rise of demonic oppression and deception in a futile last ditch effort by Satan to pull the wool over our eyes. It might be a battle against the spread of Islamic tyranny. I'm not certain what the war will be over. But I know it's coming and I know God is preparing an army that will be victorious. The wave is coming and with it many changes will be upon us. A lot of those changes will be unexpected. Some will be nothing short of an adventure. Some will bring a deep sense of loss or disconnection from people we've known. It's going to be uncomfortable for a lot of us. But the kingdom of God is advancing and the people of God must move with the Spirit wherever He leads. It's my hope that your trust will be in Jesus, the one who is always faithful. The Praying Medic, October 2010. Note: Portions of this word are specific to Morningstar Ministries. Much of the details and all of the principles are applicable in a much wider application. If you have difficulty seeing the video, click on the title ("Bob Jones Shepherds Rod Prophecy for 2011").